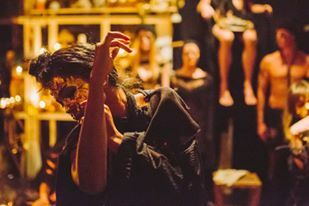 H:O:M:E – a durational performance-based installation exploring the ways in which locations, memories, stories, and histories are connected through personal and collective narratives. 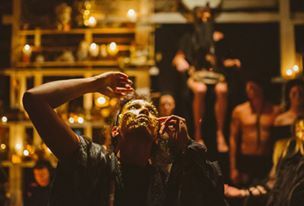 Inside a large gallery space, the performers weave an experiential landscape of storytelling, sound, art-making and performance. The audience are invited to enter the landscape of the work and engage with the space and the stories being shared as an aural, tactile and performative experience. Acknowledging the transient and disrupted connections to homelands and heritage that are a feature of contemporary Australian discourse, H:O:M:E constructs a shifting framework to explore the relationship between geography and identity. 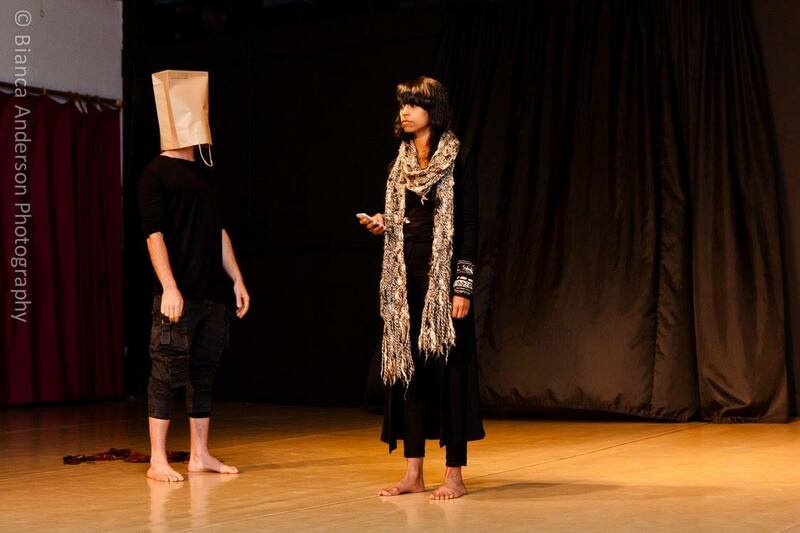 Poetics, recollections, relational choreography, live and embodied art interactions are all drawn into the work to disrupt, dislodge and unpack the conflicted and paradoxical relationship between identity, place and belonging. Working in collaboration, H:O:M:E is enlivened by the aural narratives of sound artist, Amy Hanley. Accompanying the work is an online portal through which members of the public are able to contribute their memories and stories of place and identity for use in the work. These contributions will be layered into the aural and visual elements of the piece, reflecting the connectivity between the many personal stories of place and identity of the community. H:O:M:E was performed at the Blender Projekt Space, Docklands, Melbourne. “LABOUR” is representing the current state of BLACK | KRSNA. Spiritually, physically and emotionally. The sense of BLACK | KRSNA still being in the universal womb however experiencing a sense of birth. Contractions have already began, and the true identity is beginning to emerge. Experimental performance to launch BLACK KRSNA collection LABOUR – full video here.